This entry was posted in Acts, Christianity, Humor, New Testament, Religion, The Bible and tagged Acts, Crazy Christians, Forgive Osama bin Laden, Forgiveness, Never Forget, Osama bin Laden, Osama for President by Mac. Bookmark the permalink. What if it’s what ‘normal’ is supposed to look like and we, today, have just steered so FAR from ‘normal’ that we think ‘normal’ is abnormal, when in reality we are naturally abnormal looking for the real ‘normal’??? 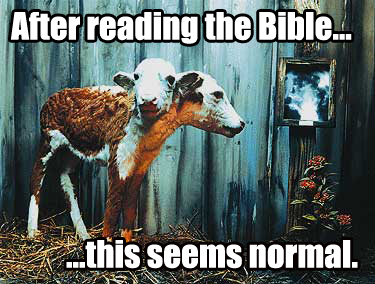 Read Jonathan Welton’s ‘Normal Christianity’…maybe that will help my question make sense or ‘normal’. 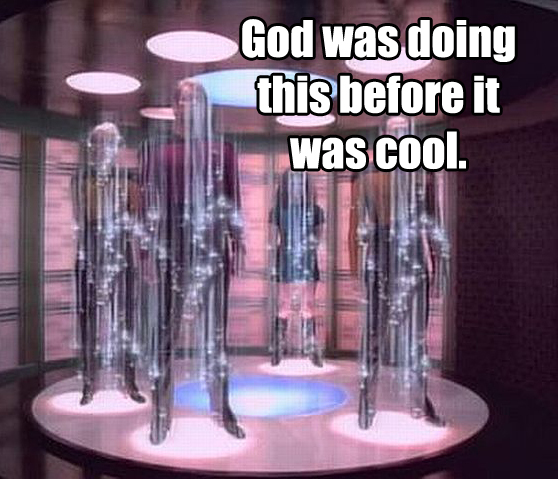 Haha….great post by-the-way! Your question makes sense dude. I debate myself whether “normal” even exists or not. Regardless, I don’t think it’s so much that people have gotten away from normal. I mean, rarely in human history have people forgiven mass murderers who killed their families and seek them out as their spiritual guides. But I do think Christians should have a different “normal” than non-Christians, as the way they view life is pretty different ya know? True true. I understand all that completely. Totally understandable. 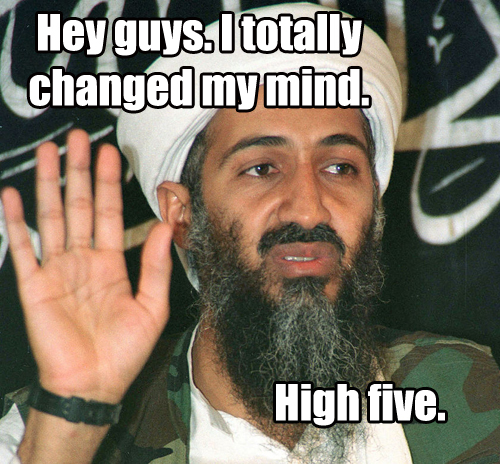 I DIED with the Osama picture and high-five. so good! 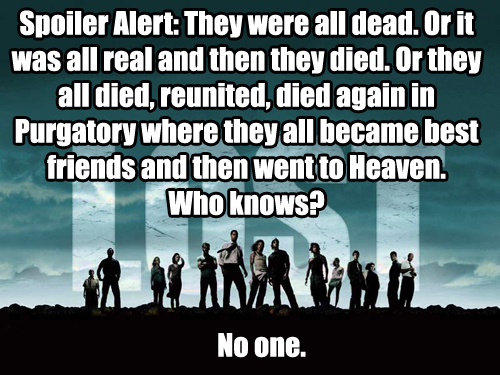 Hahaha…yeah, that one makes me chuckle every time.